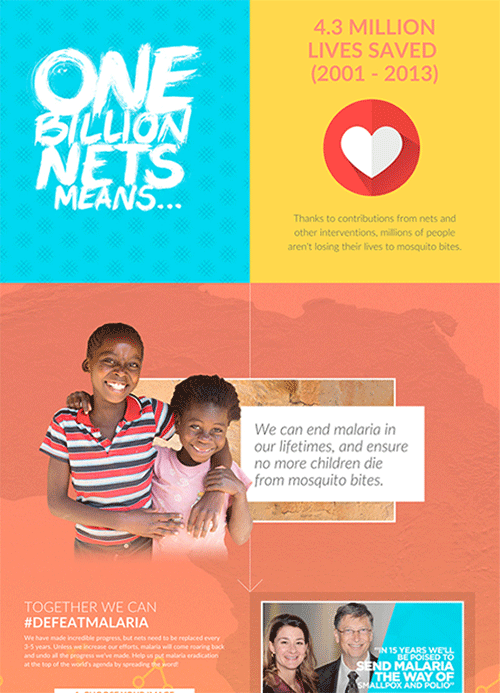 Malaria No More envisions a world where no one dies from a mosquito bite. 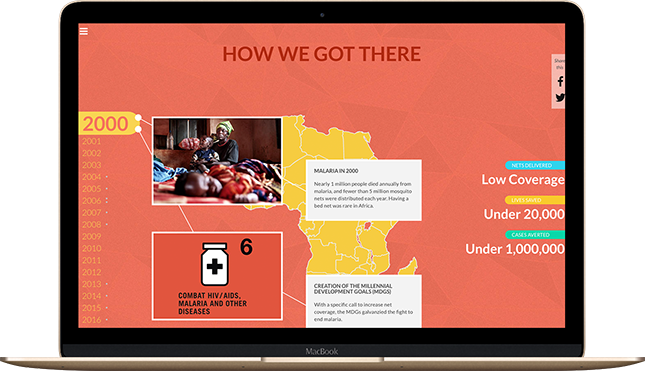 They mobilize the political commitment, funding, and innovation required to achieve what would be one of the greatest humanitarian accomplishments – ending malaria within our generation. 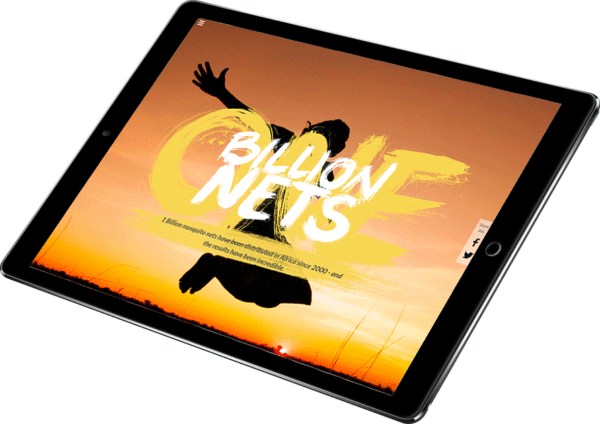 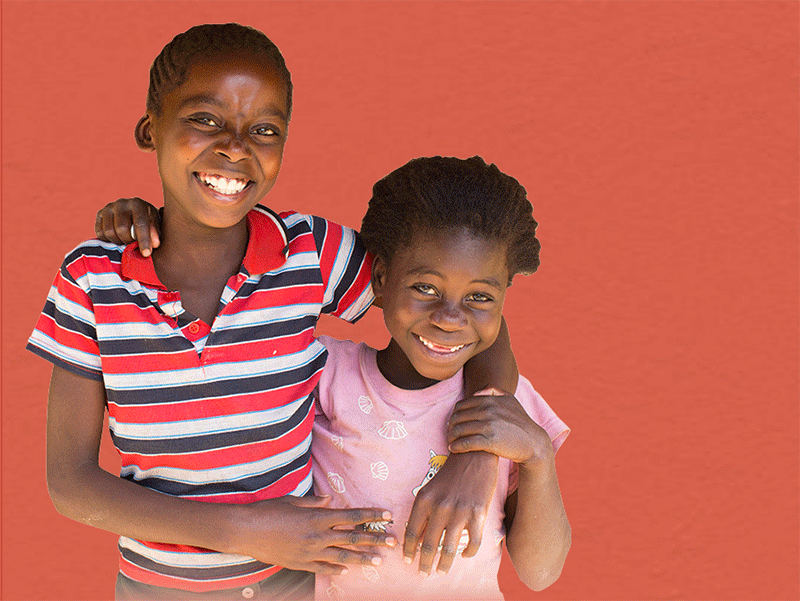 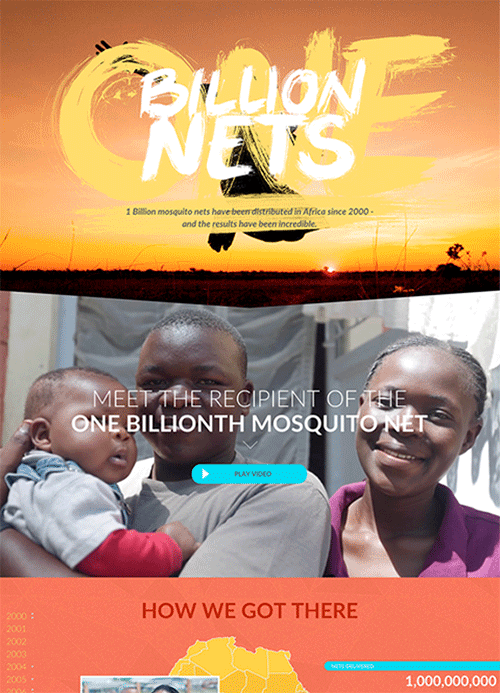 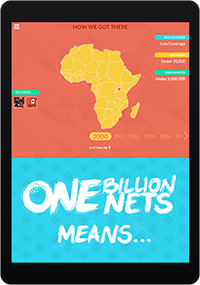 We built an engaging, vibrant landing page that showcased the incredible work Malaria No More is doing in Africa.